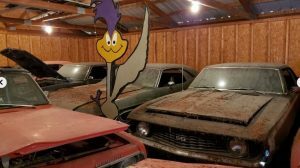 While we all love the idea of a dirty, dusty barn find, there’s an ideal middle ground of discovering a slumbering vehicle that was maintained while it was used, and stored carefully enough that it didn’t become a mouse hotel. 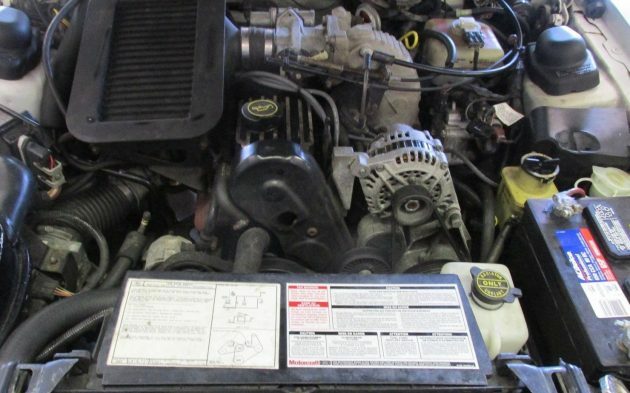 This 1988 Ford Thunderbird Turbo Coupe here on eBay was stored for 18 years near the seller’s old neighborhood and is a 35,388 mile survivor that remains in excellent cosmetic and mechanic condition despite its early retirement. Thanks to Barn Finds reader Jim S. for the find. 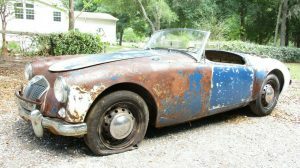 While the thrill of discovering a barn find can help you overlook torn up seating surfaces, stained carpets, cracked dashes and faulty electronics, isn’t it nice to just wipe the surfaces down and then be ready for occupancy? 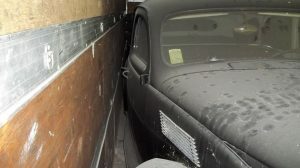 Perhaps the seller’s use of the description of this Thunderbird as a barn find is a bit of a stretch (I’m assuming this was a pretty nice garage it was stored in, with a locking door and a leak-proof roof), but no matter – the low mileage confirms this turbo ‘Bird hasn’t gotten much use. Turbo Coupes of this generation benefit from the top-mount intercooler you see here. Power bumped up to 190 b.h.p. and the Ford could thunder to a top speed of 143 m.p.h. when equipped with the manual transmission, as this one is. Essentially a Mustang SVO with different duds, the Thunderbird was intended to compete with the likes of BMW’s E24 6-Series but I don’t think too many consumers cross-shopped between the two. I’d love to drive this and the later supercharged example back-to-back to see which is the more engaging driver. 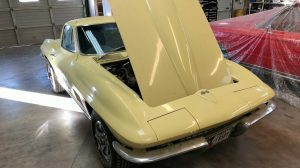 The seller has tackled some significant maintenance projects in the interest of having this Thunderbird be a reliable ride for the next owner. The fuel tank was dropped and drained and the usual tune-up items were addressed (new cap and rotor, plug wires, gas and air filters, etc.) along with new mufflers and tires. The seller touts the presence of all matching VIN tags on the body panels and the sunroof-delete configuration is an added bonus. The Buy-It-Now is $9,500 and I have a feeling the bidders may end up there – what do you think? Love it! Had a neighbor with a black one that he drove the wheels off. Tough car with great looks. Would love to have this one (but I’ll have to settle for ole blue, my rusty 1990 sentra with 185k for now…). Tbirds of this caliber are few and far between ! Love this one and take care of her ! I also have an 88 turbo coupe that Iam restoring ! 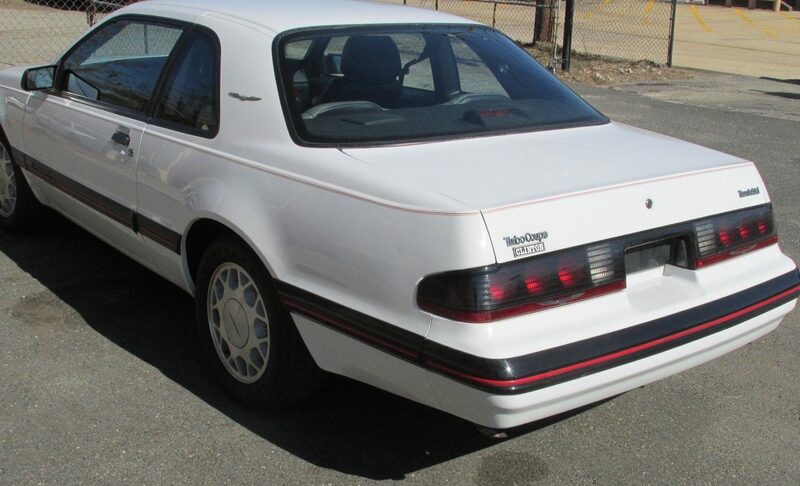 I also have the 88 Tbird Lx 5.o version ! H/o conversion ! Oh boy: Jersey, broken English grammatical errors, dealer, eBay. Hate to be pessimistic but suspicious already. Otherwise the pics depict an honest looking example. I like. Very nice car and I don’t think his buy it now is off by much. 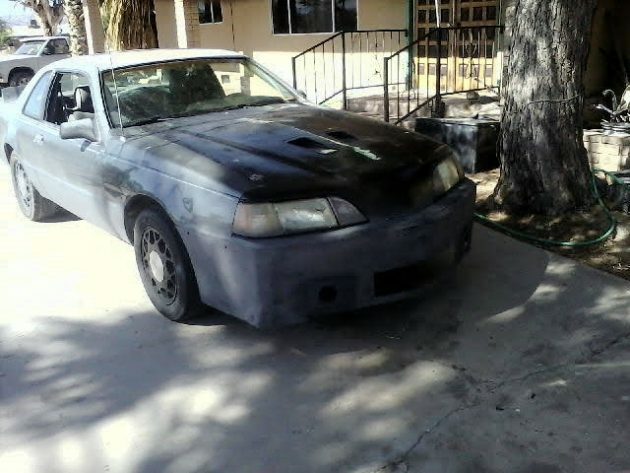 I see a Fox body Mustang II with a wider “C” panel and a 4 banger. Across the street from me is a Mustang II GT with a 5 litre. End of comment. I always wanted to take one of these for a spin. Nice car. I’d use it as my daily driver. Seems like a good price. Had one of these in the early-90’s. Surprising performance from the Turbo 4 and it drove wonderfully. 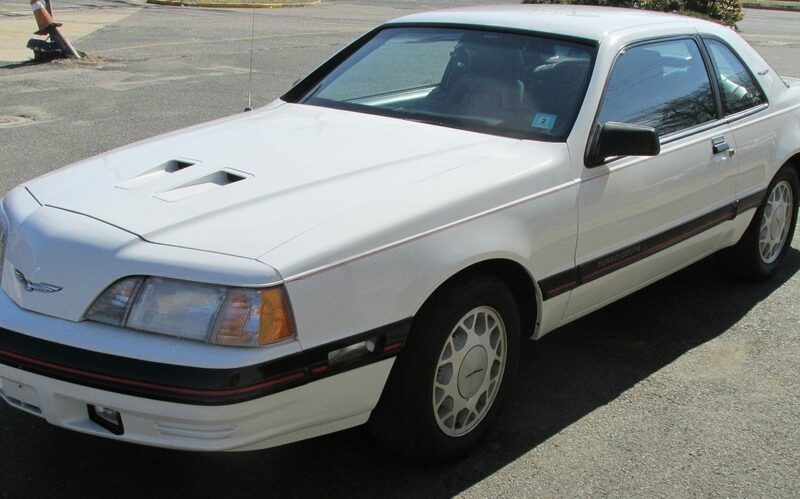 Also didn’t have the “mullet stigma” that the Mustangs of the time had…which I preferred. I had a red 87 with red leather and a five speed. It was tons of fun to drive. The suspension stiffened up when going into a corner or when you nailed it. 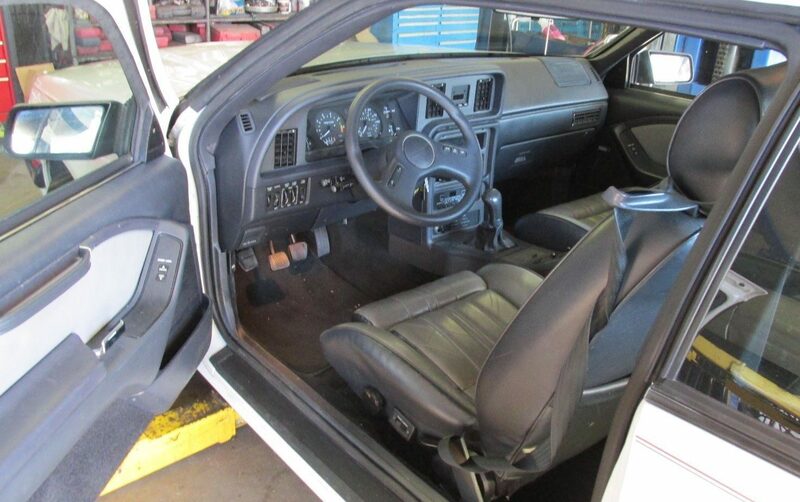 The seats fit like a glove and with 190 horses, you couldn’t get in much trouble. Other than my SHOs, this was a favorite! Had several of these aero Birds as a demo back then. Nice driving car in that era. Big improvement over the boxy Fox platformed 80 to 82’s even though these were based on the Fox platform also. I had an 84 (non-intercooled). Silver over grey, all the bells an whistles. Hated the 85 mph speedo, but other than that I loved the car. Quick, and got good mileage as well. The seller seems honest enough, but the high price will limit interest. plus I wouldn’t buy anything from NJ. Love the cruise control with a 5 speed. Had an ’87 many years ago. Great car !